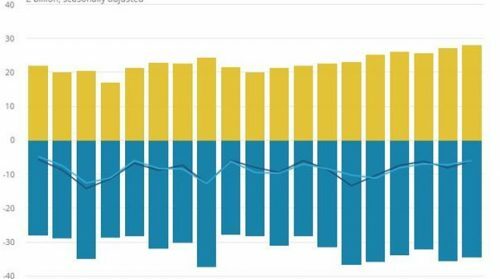 Home / Home / Accueil / United Kingdom 2019: What if Brexit proved to be a success story? PUBLIC Announcement of our monthly bulletin GEAB (March 2018). Register here ! So far, the media and political analysts have been unanimous: Brexit represents an uncertain and dangerous future only for the UK. Our readers know that we have always been more circumspect about this. Now that the first phase of negotiations has been completed (at the end of last year) and the second phase is about to start, it is time to admit that this exit from the EU also opens up many opportunities for the UK and that it creates new risks for the EU. Within this second phase of negotiations, which will focus on the transition period and the future relationship between the two parties, the balance of power could indeed reverse. The British government, criticised for lack of clarity and realism since the beginning, clarified a number of points through Theresa May on 2nd March and set out a concrete exit plan. The EU Commission, for its part, is becoming less and less cooperative and imposing requirements that some judge to be unrealistic (e.g. the impossibility for the UK to start negotiating trade agreements during the transitional period; the demand that the customs barrier be moved from the Irish border to that between N Ireland and Great Britain). If the EU remains blind to the progress made by the UK for too long and shows a base spirit of revenge (intended to scare other countries), it could cause a backlash capable of triggering precisely what it wishes to avoid – a domino effect. Brexit constituted a major failure of the European Commission – one which required it to start its own reform, rather than taking revenge on the United Kingdom. If, instead, we find ourselves in 2019 in a situation where the United Kingdom, released from the Brussels tutelage, has repositioned itself successfully (dynamic image; modern and turned towards the rest of the world) while the EU is still floundering in the same malfunctions, blockages and slowness which made the UK run away, what do you think will happen? An abandonment of this regulation and an emancipation of the Brussels’ tutelage still remain largely probable, because although a trade partnership following Brexit goes without saying, it is far from guaranteed that it will cover financial services as well. The speech on 2nd March has definitely clarified a point that Theresa May had announced widely; the future Euro-British relationship will be framed by a free trade agreement. What seems very likely, if not accepted, is that this agreement will guarantee trade in goods that is free of tariff barriers and quotas, since this objective is shared by both negotiating parties. For Europeans, this point seems obvious since the trade balance of goods is largely to the advantage of the continent. For the British, this will allow them to limit the cost of their imports. 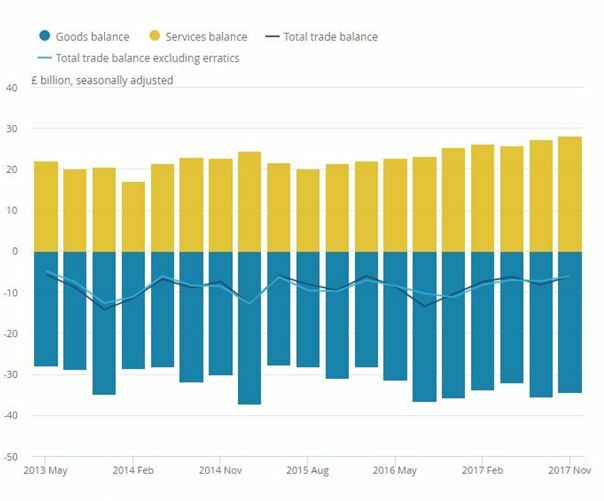 Figure 1 – UK trade balance, goods (blue) and services (yellow), in billions of pounds, 2013-2017. Source: ONS. On the other hand, trade terms relating to the services sector are still to be negotiated. Here, the balance of power is reversed. The UK has a surplus of trade in services with the EU. The Commission, whose objective is still to prove that the British economy is doing worse after exiting the single market and to show the 27 remaining states that it is cold outside the EU, intends to limit the agreement on this point. This is all the easier because most trade agreements cover very little of this sector. As far as financial services are concerned, no trade agreement has ever managed to take them into account. Theresa May first wants a treaty from these negotiations. The 27 are refusing and are unlikely to shift from this position, because they are aware of the importance of this sector for the British economy. Admittedly, it does have importance, but this is sometimes overestimated. Business services, which cover areas such as legal advice, consulting or marketing, represent a higher value than financial services. And business services will probably be easier to take into account in the free trade agreement, so finance is not the only British asset and the losses caused by limited access to the European financial market will not be irremediable. Certainly, the quality of the UK-EU relationship is a genuine goal for the UK. But what is at least as important is the repositioning of the country on a new foundation; a vast and connected politico-commercial space where the British are masters. Naturally, it is on their former empire that they are working to reposition themselves – the Commonwealth. Several events are being organised this year with the aim of preparing a strengthening of trade relationships between London and the other members of this intergovernmental organisation. The Department of International Trade will host the Commonwealth Summit in April 2018 and the UK’s commitment to free and global trade is at the top of the agenda. Theresa May emphasised on 13th March 2017 (Commonwealth Day): ‘As we look to create a truly Global Britain, the deep partnerships that we share through a 21st Century Commonwealth can help us strengthen the prosperity and security of our own citizens, and those of our many friends and allies across the world’. More focused and perhaps more concrete, the North West England region is also hosting a meeting of 300 business representatives and Commonwealth experts. The event marks the launch of the Merseyside & Cheshire Commonwealth Association whose goal is to create a broad network of individuals and organisations committed to promoting business and cultural links between North West England and the 52 Member States of the intergovernmental organisation. 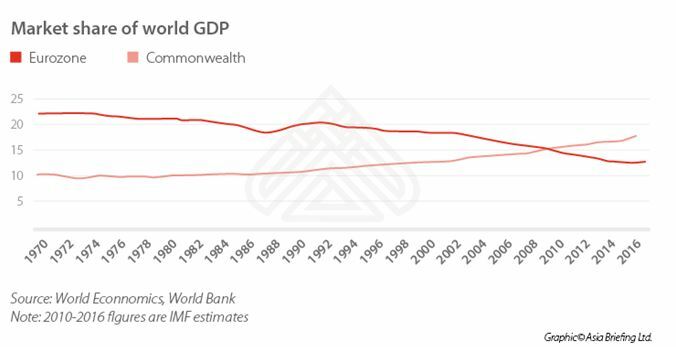 Figure 2 – Market share of eurozone and Commonwealth GDP in world economy, 1970-2016. Source: Asia Briefing. In this type of relationship, the UK has its own international advantages. Its language and legal system are the main ones. The influence of its universities, its capacity for innovation and scientific and technological research are soft power elements that can also be put at the service of international trade if needed. Open Europe, in a report on trade priorities beyond the EU, considers that the most interesting countries for the UK are Canada, India and Israel. The first two are still part of the Commonwealth. Canada shares the same official language and the other two use it widely. All three have the same legal system. These factors have always been decisive in international trade, which is based primarily on understanding between customers and suppliers and on the ability to apply the contract that binds them. In this same study, Open Europe evaluates untapped potential in certain emerging or developed markets. Among those offering the best opportunities, we find three Commonwealth countries: Canada, India and Nigeria. According to this study, Canada looks like offering the most important opportunities for the UK at the moment, with a potential to increase trade up to 7 billion pounds. To maximise this potential after Brexit, the aforementioned think-tank recommends taking as a basis the agreement recently negotiated with the EU: CETA. Justin Trudeau was quite supportive of this during Theresa May’s visit to Ottawa last September. It should then be adapted to British particularities, extending the provisions of the agreement to services and especially to financial services. In exchange, the UK can offer Canadian citizens easy access to Britain to live or work there. At the moment, they hold no particular advantages. By 2030, according to Open Europe, India is likely to offer the best opportunities because it will experience more significant growth than developed countries in the years to come. This relationship will be much more complicated to explore for the UK, as India remains one of the most protectionist countries in the world. Not to mention that the English have not left good memories there… Nigeria also offers interesting business opportunities – up to 3 billion pounds according to Open Europe. But significant difficulties exist here as well, due to the instability of the country. 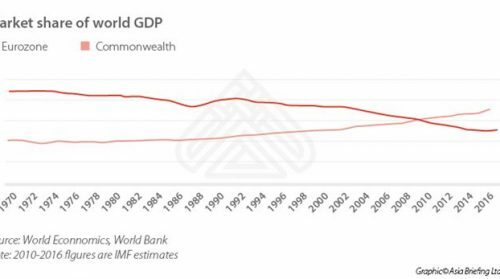 A free trade agreement is difficult to imagine in the medium term, but British support for the country’s development efforts could be fruitful. It could also be specifically targeted at key infrastructures. Under these circumstances, we see that the UK has all the cards to make Brexit a success story. Now that the government and the Conservative Party are more united behind their leader and entering a more comfortable negotiation phase than the previous one, they will be able to focus on getting the best deal possible from the Europeans. They will also be able to start developing their partnerships again with their ‘Old friends and New Allies’ in order to become an intermediary between the two worlds. Of course, the difficulties and the challenges are real, but sometimes having your back against the wall is the best place to engineer as quickly and efficiently as possible the necessary structural reforms to move in the direction of a new, less western-centred world which anticipates the emergence of new markets.